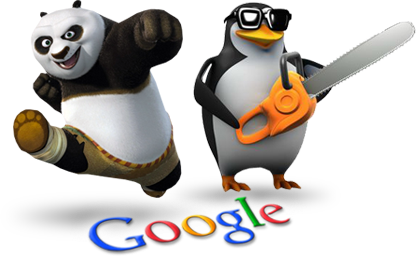 Google’s latest Panda and Penguin updates really shaked up the SEO world. Many sites were penalized and experienced dramatic ranking declines. Luckily, 95% of our current Premium SEO customers are still doing very well because we only use the best high PR links, exclusive website links, and well ranked .edu links. Our new service, called Wikilinks / Contextual Link service is proving to be a very effective link building strategy – we place contexually-embedded links along with well-written content. These Wiki websites are a great way to increase SEO value because Google favors these websites due to the amount of quality content on the sites. A Wiki is like the site, Wikipedia.com where it’s a free encyclopedia where you can add and edit pages on any given topic. There are many sites like Wikipedia.com that allow you anyone to write documents/place links. Google loves and favor content-rich websites and this is why Wiki sites rank high with high PageRanks. Every link we place will have your website’s anchor text keywords and are guaranteed to give you a ranking increase. All link placements are permanent. Our team can handle any volume of order – we have over 15 Wikilink specialists who work around the clock for our customers. All reports only show LIVE LINKS. We do not show links waiting moderation, this means you actually get MORE Wikilinks created then you ordered. Affordable packages for any budget. All links will be placed around high quality content on Wiki sites ranging from PR0 to PR7. 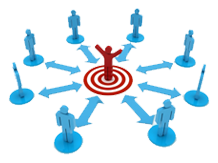 Guaranteed approval rate and permanent links. A full report after the job is done with the exact URLs of where the Wikilinks have been placed. Notice: We offer discounts for our Wiki Link Building Packages if you commit to using the service monthly. We recommend the monthly service as it gives you a good stream of new links being created on a monthly basis, which is important for SEO. You will notice our one-time prices and our subscription/monthly prices. You can either pick the one time package or if you’d like to have us to build these important wiki links for your site monthly then click “Subscribe” on the plan you wish to use.